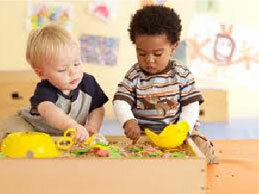 Brooklyn Kids Academy is a licensed all day Nursery and Preschool for children ages 6 weeks to 5 years old. We offer full day programs, as well as a schedule that is tailored to your child’s individual needs. At Brooklyn Kids Academy we have established a developmentally appropriate approach to early education through programs that offer intellectually challenging experiences, a love of learning and many opportunities to develop social relationships. Our theme based curriculum includes art projects, songs, sensory experiences, gross motor play, and special events. Our goal is to provide a well-rounded, experiential environment for your child that enriches their emotional, physical and intellectual development. 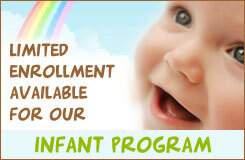 The Nursery program is an environment that emphasizes independence, community, and collaborative learning. 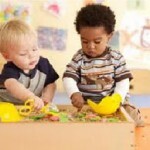 The curriculum is designed to foster self-confidence as well as the mastery of early learning skills and problem solving techniques. The Pre-Kindergarten program is designed to further the development of each child with the ultimate objective of social, emotional and academic preparedness. We have created an environment where learning is a process, a series of experiences beginning the very first moment your child enters Brooklyn Kids Academy.